The recipient must be a full time degree-seeking student in good academic standing (2.5 GPA or higher). The recipient must make outstanding contributions to the UMW Dance Company/Performing Arts Club. We consider the quality of performance and choreography, in addition to participation in dance in the Fredericksburg community. The recipient must excel in the study of dance at UMW. We encourage enrollment in dance classes offered by dance faculty at UMW. The recipient may demonstrate the desire to utilize dance after graduation in graduate study. We will invite applicants for informal interviews in GW Hall during tech week rehearsals. We carefully consider the quality of expression in the essay and the interview. 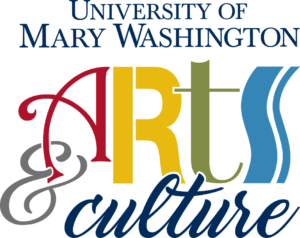 The twenty-first annual presentation of the UMW Scholarships in Dance will be on Saturday, November 23, 2013, in Dodd Auditorium at the Performing Arts Club concert. Both the Haydar and Read scholarships are each a $1100 award. Please submit your application online by October 20th, 2013. You may find the application on the UMW financial aid website scholarship announcement page by selecting the blue link "2013-14 Scholarship Opportunities." The Friends of Dance scholarship application is on the final two pages in the document.